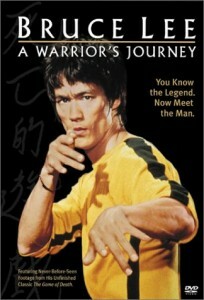 Bruce Lee: A Warrior’s Journey reveals the very soul of Bruce Lee for the first time; his battles against cultural and professional bigotry, how he survived his near crippling back injury, and how he developed a radically new approach to martial art based upon total freedom for the individual practitioner and of his journey to bring this truth to the big screen. The film includes 3 action sequences, consisting of 33 mins. which Bruce Lee filmed for his film The Game of Death (which he did not live to complete) which have now been found and restored and will be seen for the first time in this film.